In 2008, Rambus accused Nvidia of infringing upon 17 patents across six of their product lines. After four years of legal sparring, the companies have finally decided to resolve the matter privately. The newly struck deal will be valid for five years although no other details were given. 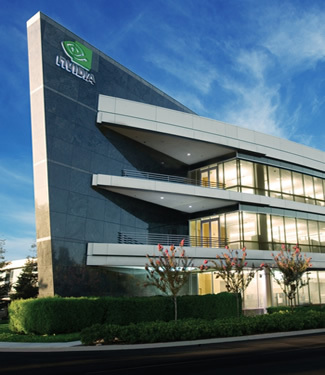 "This is an important license agreement as it settles our differences and allows us to move forward with Nvidia, the leader in visual and parallel computing," said Harold Hughes, president and chief executive officer at Rambus. "Looking forward, we have the opportunity to focus on developing innovative solutions in concert with our licensees to help bring compelling, innovative products to market." Of the 17 patents in question, only two -- if my tally is correct -- were not dismissed by the International Trade Commission or dropped by Rambus itself. Three of those patents were collectively known as the Barth patents, an important trinity of intellectual property thought to be fundamental to the company's future. Leveraging its broadly licensed patents have net Rambus a healthy, sustainable income during the last several years. In 2009, license royalties accounted for 113 million dollars or 96% of the company's total revenue. With little left to fight for, Rambus may have settled for much less than they had original asked for. However, neither company has been forthcoming about disclosing the value of their mutual settlement. The only details known are the deal lasts for five years. Rambus has become a notoriously litigious company following RDRAM's failure to become a mainstream component of the computer industry between 2000 and 2003. RDRAM was a memory technology which focused on achieving greater memory bandwidth through high operating frequencies. It did so, however, at the cost of higher latencies, higher prices and increased heat generation. Eventually, DDR outpaced RDRAM and Rambus' contribution to the tech industry was quickly forgotten.